Parents are sometimes told that they should stop bathing their kids with exzema because it will just make their skin worse, which is an unfortunate misconception. The truth is that harsh soaps and fragrances used in bathing products will make eczema worse. 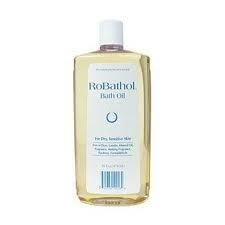 But a bath, every day, with a bath oil and the minimal use of a gentle soap is tremendously beneficial for eczema. Fragrance. I’m sorry Johnson and Johnson. The baby scent that made you famous is completely fictional. There are no natural smells from a baby that are remotely like your “baby” smell. Babies just need to be clean, they don’t need to be covered in perfume. Especially because fragrance is often irritating to the skin. It makes ABSOLUTELY no difference whether the fragrance is synthetic or natural either. In fact, lavender and tea tree oil are highly allergenic and often cause a lot of problems in adults. So just say no to fragrance. Preservatives including Formaldehyde and Parabens. There are numerous concerns about the safety of many of the common preservatives. Fundamentally, it is tough for things to grow in soap, but not impossible. But the fact of the matter is that preservatives in soap are there purely to extend the shelf life for the manufacturer, NOT for our benefit. If your child has eczema or has a flare of eczema, you need Robathol. It is a medical grade cottonseed oil (means that they have sourced and purified the oil to meet pharmaceutical standards which are much stricter than food oil standards). Put 1 oz of this stuff in the tub, soak kid for 20 minutes, and their skin will feel like butter. There are downsides: The tub will become a slippery death trap, so get sticky grippy things for the bottom. If there is a buildup of hair in the drain, the oil will usually stick to it and create the mother of all clogs. Just an FYI. Tear-free. It is obvious why this is critical for kids. Soap free and very gentle on the skin. It turns out that this product uses a synthetic detergent. What is nice about this is that natural soap requires a fairly strongly alkaline environment in order to work. This high pH tends to dry and irritate the skin. Synthetic detergents function at neutral pH and cause much less damage to the skin. All in one body wash and shampoo. This means one bottle for the tub is all you need. Super convenient. Doesn’t confuse dad. Be sure to get the Fragrance Free Version. They also make one with lavender scent, but since lavender oil is allergenic, I recommend avoiding it. This stuff is nice because it is plant based and tear free. It is also hypoallergenic and fun. I don’t use it as a wash though because it is a soap and will be a bit drying. 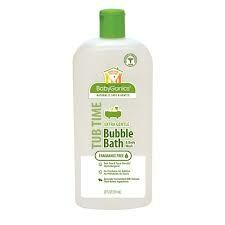 I just put it in the tub so that we can play with bubbles. There are only two moisturizers that I will use on my own kids. They aren’t what most people choose, but the reason I choose them is because they are the most hypoallergenic products out there. Yes. Vaseline. Vaseline is awesome. 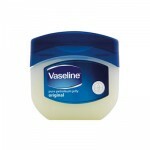 When it comes to the ability to heal the skin up and get it back to normal, Vaseline is almost impossible to beat. It is cheap and easy to get. 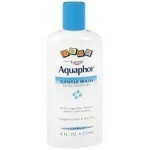 Many people prefer aquaphor. I hate aquaphor. Aquaphor feels no less greasy to me than vaseline, does not work any better, costs 10x more, and contains lanolin and several other ingredients that are often allergenic. Vanicream is probably the single best cream ever developed, but no one knows about it. It is made in Rochester MN by a small company that was started by pharmacists who used to work at Mayo. While at Mayo they were tasked with coming up with a skin cream that displayed healing properties as close to Vaseline as possible but also free of frequent allergens and other ingredients that often irritate the skin. Or at least that’s how the story goes that I heard. The bottom line is that the only moisturizer less allergenic than Vanicream is Vaseline. I have not found anything out there that is less irritating than Vaseline. 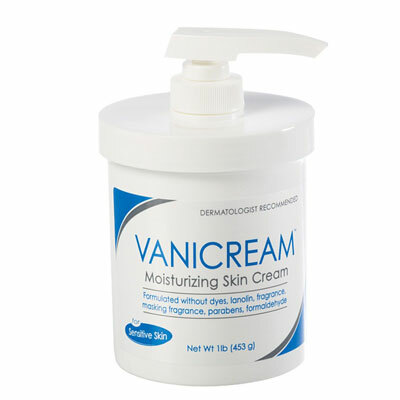 I certainly don’t expect any of the major cosmetic companies to EVER come close to Vanicream because their philosophy for making a skin cream is based on creating something that sells well and has market appeal, not necessarily one that work well and actually heals well. The main problem with Vanicream is that the further you are away from Rochester MN the harder it is to find. Locally, Target and Costco carry some of their products. Medical Center Pharmacy carries pretty much their entire line, probably because I recommend it about 30 times a day and they are located downstairs from my office. There are only about 2000 types of sunscreen out there. I think I’ve personally tested about 100. 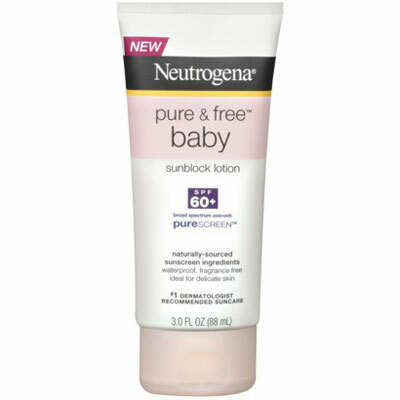 When it comes to sunscreen for kids, I look for a lot of the same things that I look for in other kid’s products-simple ingredient lists. 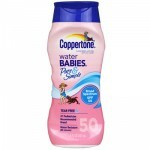 However, with sunscreens, I also try to avoid ones with Avobenzone since there are concerns about it affecting the hormonal development of girls and both my kids are girls. This has become my favorite. I used to hate spray on sunscreens, primarily because they smell horrible and make me choke. But, the Elta Aero sunscreen is fragrance-free and paraben-free. It is a semi-transparent Zinc Oxide based sunscreen, so it contains far fewer chemicals than most sunscreens. It is also water resistent. We ended up liking it so much that we now sell it in the clinic. 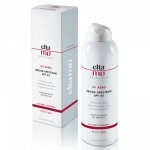 This is a pure Zn and Titanium Oxide sunscreen that is fragrance free. This is also water resistant and fragrance free, but it does have parabens. A major redeeming factor, which I think is brilliant, is that it is tear free. For this reason alone, you may want to try this yourself. We mostly use Fuzzi Buns diapers on our kids. These are one of many types of “modern” cloth diapers http://www.fuzzibunz.com/. We think that using them is probably better for the environment than regular diapers. But there is a downside. More diaper rash. Except for the fact that disposable diapers last for 100 million years or so in the landfill, they are a materials engineering marvel. 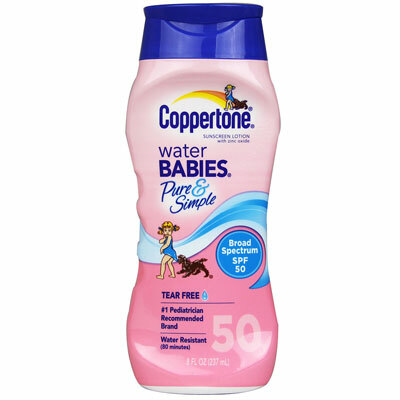 Their ability to wick away and contain urine dramatically reduces diaper rash. Cloth diapers don’t wick away much of anything. I mean maybe a little, like a tablespoon or something, but that is it. After that, its irritation city. The single best product I’ve found to use to protect the area is Triple Paste. It is basically petrolatum with a LOT Of zinc oxide. This makes it far thicker than plain vaseline, which means it stays in place a lot longer and produces a far more effective barrier on the skin, keeping urine off of it and giving it a chance to heal. It is about as thick as spackling compound (but FAR stickier) and you want to apply it thickly like peanut butter at every diaper change. It is fragrance and preservative free, but it does have lanolin and beeswax which I wish were not present since they are sometimes allergenic. But since its not a product that you will need everyday I overlook those two things.